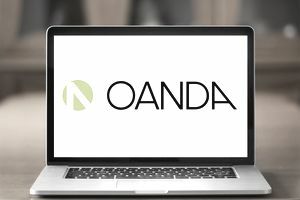 Oanda provides customer service by email, chat, and phone. Oanda seems to be typically responsive to request for service via any of the three methods. Emails sometimes take up to 24 hours to be returned depending on the issue. Oanda provides variable spreads, which means that spreads can change depending on market conditions. Most of Oanda’s spreads are extremely competitive during normal market conditions. The only time that the spread jumping will usually prove to be a problem is if you are trading directly around a major news release. For example, the EUR/USD typically trades with a spread of 0.9 – 1.9 pips under normal market conditions. During a news release, the spread for the EUR/USD can go as high as ten pips. Oanda only allows 50:1 leverage. Many traders might consider this a disadvantage, but I consider it to be like selling a gun with a safety on it. 50:1 leverage is sufficient for forex trading. Leverage set at 100:1 and higher can be dangerous and cause you to make oversized trades just because you can. As an added bonus, Oanda also allows you to trade gold and silver against the dollar. The symbols are XAG/USD (Silver) and XAU/USD (gold). Oanda comes with a decent charting package. A reasonable amount of technical indicators are available, and you can trade directly on the charts. Opening an account was simple. Oanda takes 1-2 business days to check your identity, but after that, you are ready to go. Oanda provides good customer service, excellent reliability, and a reasonably good platform to trade with. They even provide a newsfeed service for free with your account. It is an excellent broker, particularly if you are just getting started.